The events of 9/11 had started a domino effect that has shaped the Muslim life in Britain both for school children and adults. We witness a surge in statistics in racist attacks on innocent Muslims on the streets of Britain every time there is a terror attack. Increase in the incidences of Islamophobia, the rejection of the Muslim identity and the increase in isolation of minorities is affecting the young Muslim’s self-esteem and self-confidence. These Muslim are not mentally ready for success, thus preventing young Muslims from ‘aiming high’ and fulfilling their potential, consequently impacting on their educational and career aspirations and ultimately their attainment in life. Despite high levels of career aspiration and strong work ethics amongst Muslims, many Muslim graduates surrender their dreams and take what often seems like the easiest option – begin or continue the family business. Often, these businesses are in what are already highly saturated industries, thus resulting in lower earnings. Research on challenges faced by Muslims suggests that, young Muslims that stay in employment, need to work harder than their White British/non-Muslim peers to make the same progress in accessing and sustaining employment. Repeated rejections at application and interview level, and zero contract hours are common as are low salaries. So “aiming high” is often seen as a risky strategy. For the Muslim child, attending schools where Muslims are the majority, offers them a huge level of protection from pupils. However, research suggests that young Muslims already encounter significant barriers in the education system itself where teachers have either stereotypical or overly low expectations of young Muslims. In schools where the Muslim child is in the minority, from the very early age of five to 18 years, there are countless racist incidences annually. At the beginning of the school years, parents find themselves speaking to the school about the racist incidents. Slowly, parents begin to do nothing. This leaves the child emotionally imbalance and insecure. In high school, the same minority Muslim child is mocked, with media reporting children being called names such as “Bombworshipper” in front of an entire class. These children go through hell, probably cry in private as they find it difficult to consolidate the two identities of being Muslim and British. For these children, there is insufficient and inadequate individual tailored support, guidance and encouragement. They find themselves, befriending those White British children who also do not fit for some discriminatory reason. It is our belief at tutors in Bradford, no adult nor child should be left behind, regardless of their creed. 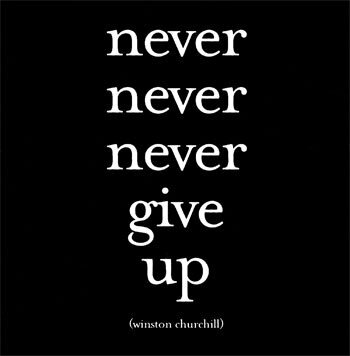 Our advice is, regardless of the odds, Never Ever Give Up. Be willing to work hard. Whatever it takes, make it possible for you. If you have this dream, and you fight these barriers you will make it easier for those generations to come after you. Every time you fail, it may cause sadness and disappointment. No matter how great the setback, how severe the failure, pick yourself back up, reevaluate your strategy and don’t be stopped. You have to do whatever it takes. Be willing to go through hell; the weight will be heavy; you will be frustrated but what you can’t do is quit. Push through it. Problems are part of life. Make it happen. It will be challenging. But, have the willingness to do what is required to make those dreams a reality.